Roman Yakub: Bio & Choral Music | Santa Barbara Music Publishing, Inc.
Roman Yakub (b. 1958) received his early musical training in Lviv, Ukraine. 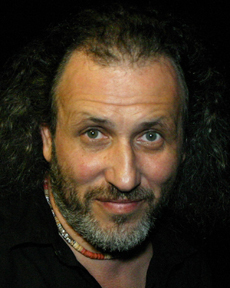 He graduated from the Lviv State Conservatory in 1982 with a diploma in Music Composition. In 1991 he moved to the United States, where he earned a Master's Degree in Music Composition at the University of Massachusetts at Amherst, and Doctor of Musical Arts Degree in Composition at Boston University. In 2006 he won 1st Prize in the Ithaca College Choral Composition Competition. In 1997 Roman Yakub became a runner-up in the ALEA III International Composition Competition. In 2003 he received the National Telly Award for music for the TV commercial promoting new concert venue for the Memphis Symphony Orchestra. He was also a recipient of the ASCAP annual Composer Award (2002-2009) and a fellow of the MacDowell Colony (2000). Roman Yakub's music was performed in the former Soviet Union (Moscow, Kiev, Yerevan, Baku, Lviv, etc. ), as well as in the USA, Yugoslavia, Poland and Germany. His music had been commissioned by New York City festivals "Bridge" and "Bachanalia", by Massachusetts University, Lviv Philharmonic, the Ministry of Culture of Russia, and by numerous theaters and TV companies. Mr. Yakub has been teaching music in various music schools throughout Russia, Ukraine and the US. He was a faculty member at the Boston University teaching Electronic and Computer Music. Roman Yakub has 1 titles published with Santa Barbara.